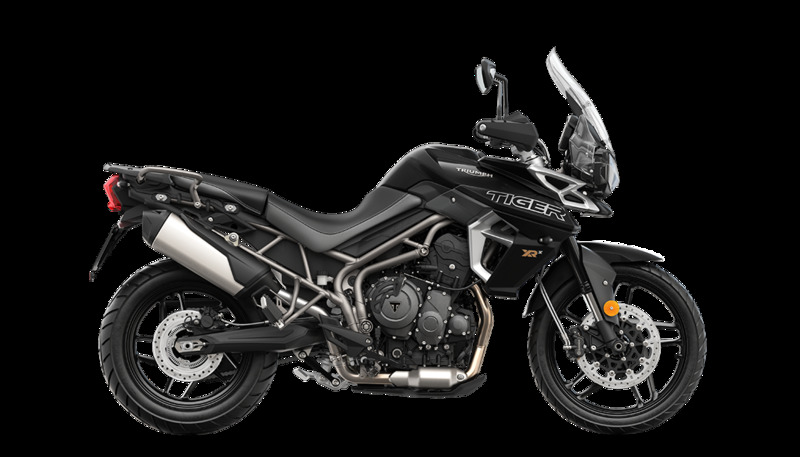 The road-loving Tiger 800 XRX 'LRH' is an even more accessible version of this easy-handling bike, and is perfect for touring the world's highways.. The 19-inch aluminium cast front wheel and Metzeler Tourance tyres work together with the dynamic systems of the XRX 'LRH' model to ensure an enjoyable comfortable all-road ride. You'll immediately notice the control gained from a new shorter ratio first gear, giving you more low-speed traction and instant responsiveness right when you need it most. This, in addition to category-defining core technologies including ride-by-wire throttle and new premium Brembo front braking system. 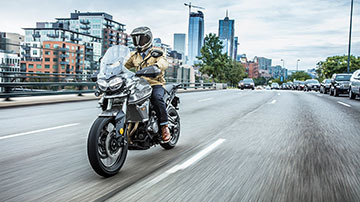 Packed with rider-focused technology, including Triumph's signature Daytime Running Light (DRL) system, new full-colour TFT Instruments, new ergonomically designed switchcubes and 5-way joystick, updated cruise control, four riding modes, and heated grips. The adventure-ready XRx 'LRH' model has four riding modes available including; 'Rain', 'Road', 'Off-Road' and 'Sport' modes, making the new Tiger ready to take on any challenge. The Tiger 800 XRx LOW has an adjustable '2 position' seat mechanism allowing the rider to lower seat height by 20mm from 780mm to 760mm to suit their individual riding style and preferred position.